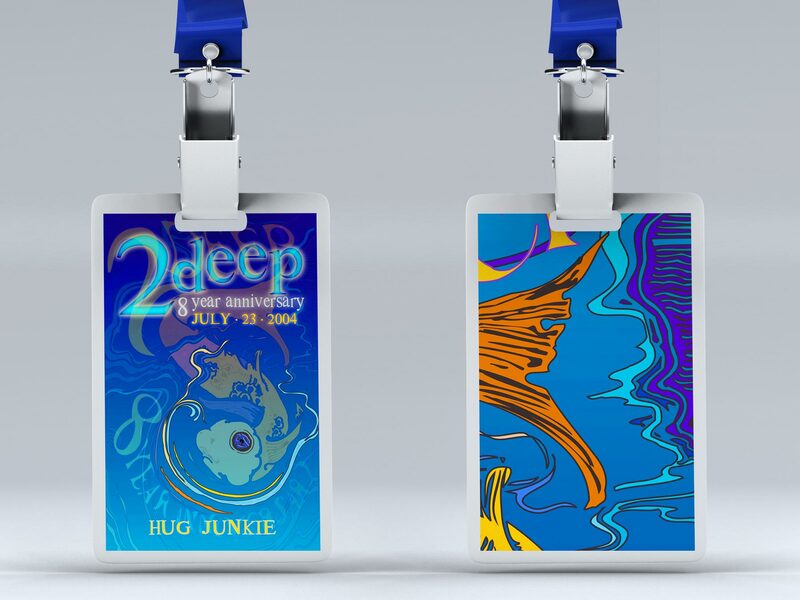 2 Deep is a production company based in the Southeast US that specializes in electronic music parties, specifically deep house parties. 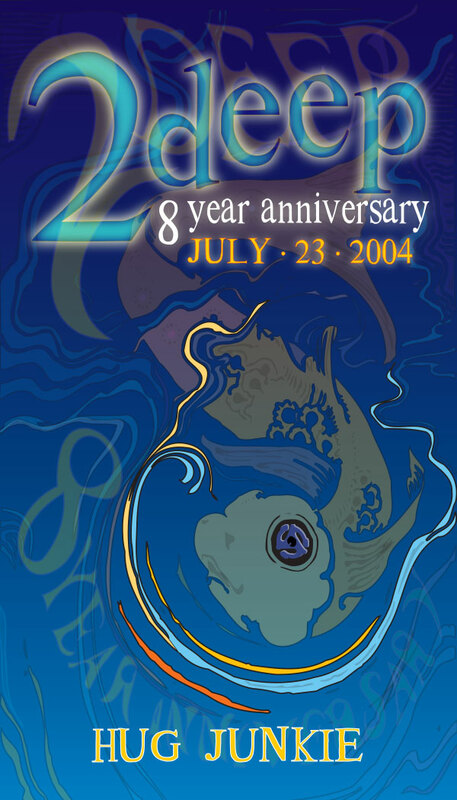 They wanted a memorable illustrated design for their music festival to celebrate their 8th year anniversary. Have a really good time and raise money to have more good times! 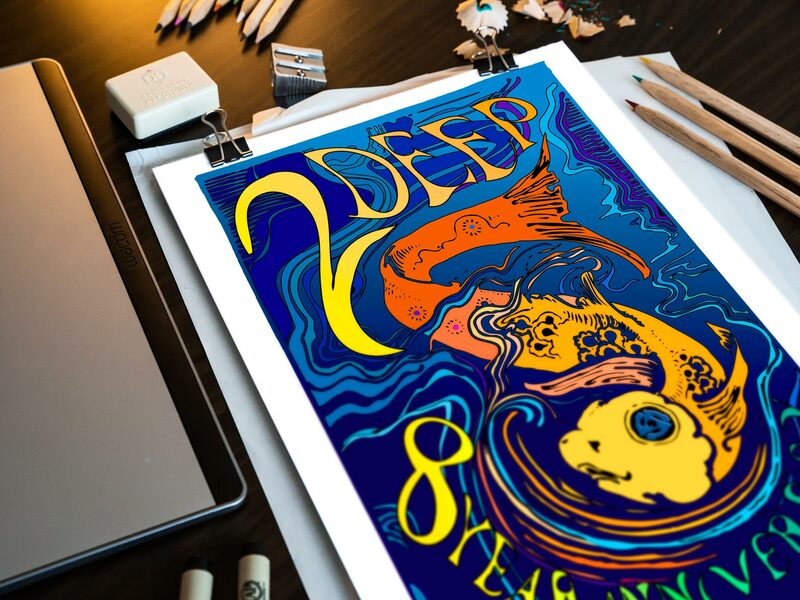 For this design, I chose to play with the word “deep” and the type of music 2 Deep represented, deep and progressive house. It is soulful, fluid, and has a devout following. 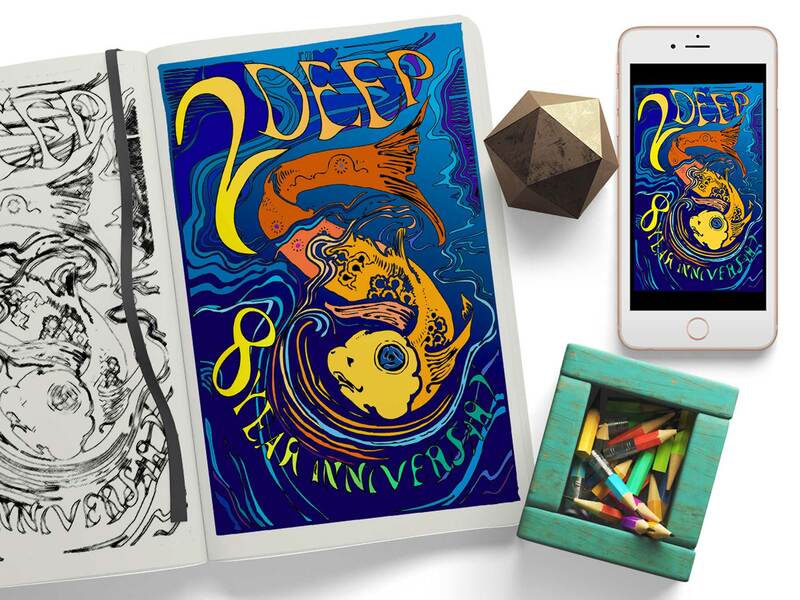 Water is critical to life, fluid, and can also be deep. 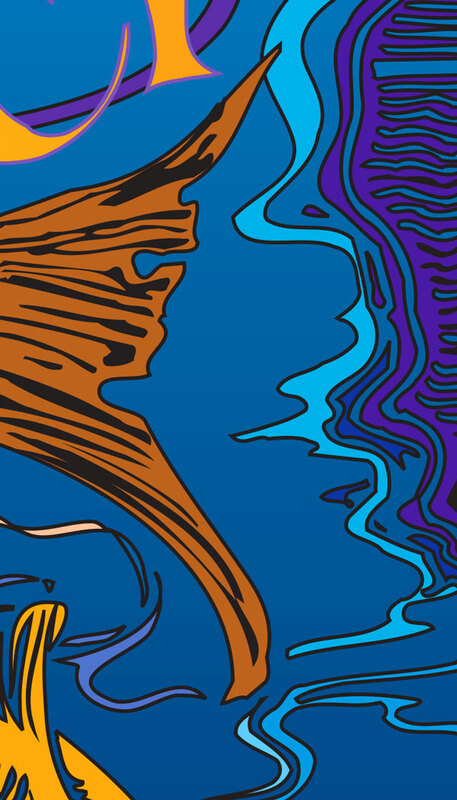 I illustrated the fish under water, making the eye a 45 adapter from a turntable. The average viewer might not pick up on the 45 adapter, but a house head most certainly will and that is the target audience for this flyer. It’s like an easter egg, a clue, a little extra treat that personalizes the experience for the viewer. 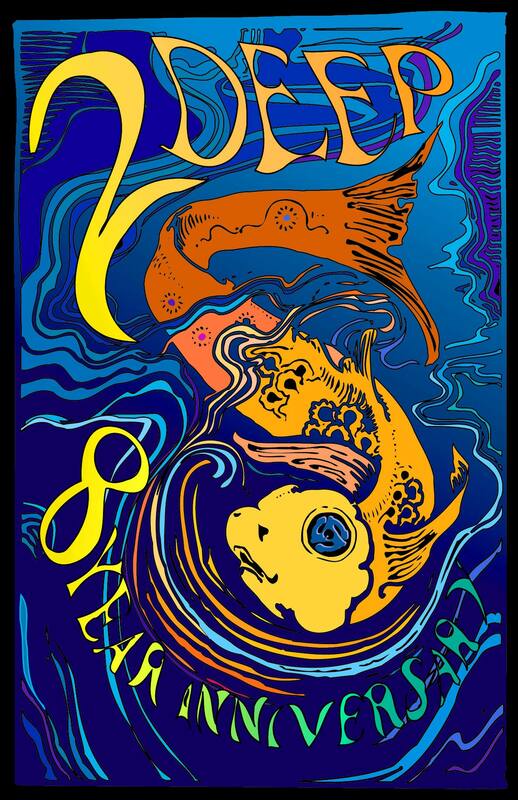 I then added the text, distorting and playing with it until it looked like it was underwater yet was still legible. I chose a bouncy wavering font, bright contrasting colors, rhythmic movement, and variations in textures and opacities – all of these to visually represent the music. 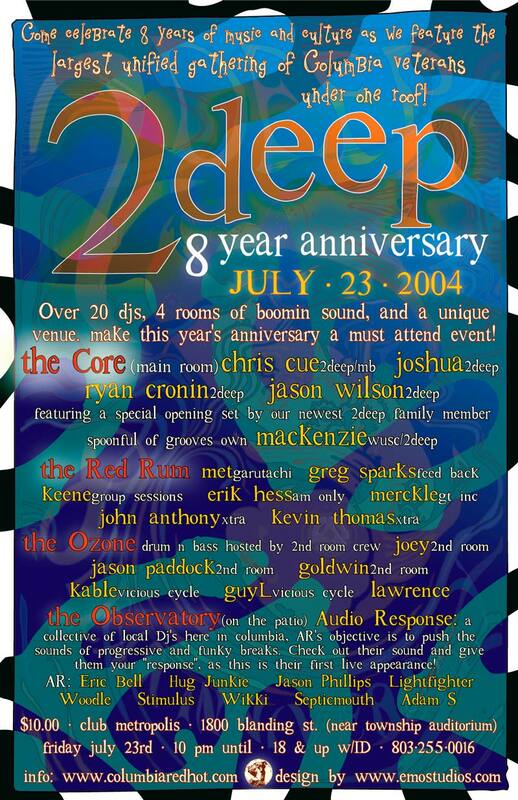 Click the image to open a gallery and view the flyer and VIP passes.